Wings Over Flanders Field started off as a WWI modification called Over Flanders Field for Microsoft CFS3. Over the years, work hasn't stopped and at several stages a new, improved version was sold, which, until recently, took us to WOFF Version 3. Version 3 also had some expansions - DLC yet again adding new planes and features to an already superb sim. Now, what is to be considered the ultimate version of WOFF has been released. WOFF 3 and its expansions have been brought all into one package, as well as the addition of a host of new features and improvements. Wings Over Flanders Field Ultimate Edition is the climax of over ten years of development, and boy does it shine because of it. 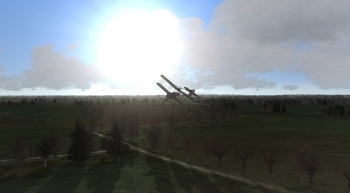 Come, take to the skies above the Western Front during the Great War. WOFF UE, not just the ultimate version of WOFF, but the ultimate single player flight sim, period! Those who know me, or if you've been a regular reader of the blog (I thank you) will know I'm a WWI obsessive. Though, for reasons I can't put my finger on, the Eastern Front in WWI doesn't appeal, yet in regards to WWII it's my main area of interest. However, as WOFF UE is only concerned with the Western Front then it's of no consequence. The War has really grabbed me to the point where I devour book after book, mainly memoirs, of those who experienced it from all sides, both on land as well as in the air. WW2 seems more real, tangible, a time that is more easy to relate too. A War that was horrific and actually killed more than WWI yet for some reason WWI is the go to war when you think about the horrors, misery and futility of warfare. Yet, WWI only ended two decades before WWII started and it seems like a different world. Maybe it's the staccato black and white footage which makes it seem more unreal. Then add the horror of new and more deadly ways of killing, coupled with old tactics, then years of living a primitive, underground existence with death a constant companion. Even the wounds you were liable to get caused more brutal, horrific damage to your flesh and bone. A reason for this being the shells in WWI broke up into large, jagged pieces of shrapnel which could cause horrific injuries, whereas in WWII, they fragmented into much smaller pieces, just as lethal, but they wouldn't cause the awful visual damage the larger shrapnel did. Even the ground itself became deadly, with even minor wounds killing the poor chap, with gas gangrene, another horrific way to die, and a cruel one. You think you have what the British called a "Blighty", a minor wound that would get you home for awhile, yet ten or so days later you're dying a horrific, painful death, as gas gangrene takes its course. Then we have the aircraft flown during the War. The ones from WWII are not that dissimilar to prop powered planes of today. 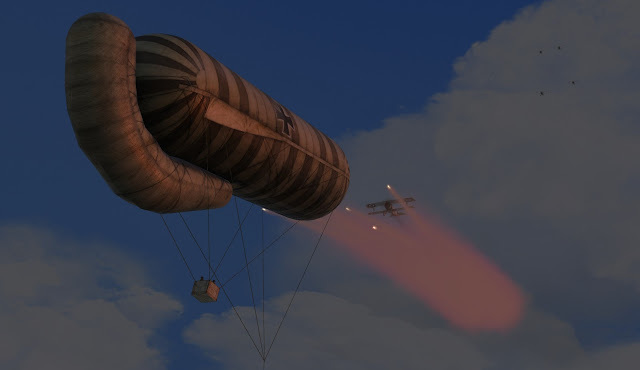 With WWI, however, the technical marvel of flying, and the flimsy, lethal looking wood, canvas and wire contraptions used to take man into the skies were all very new. So, at the start of WWI the aeroplanes looked frighteningly primitive, just like all the other aspects of the War, primitive. Yet again, this all adds to the War's otherworldliness. Over the War's four plus years, aircraft technology moved forward rapidly, unlike the actual fighting on the ground. Also, at different periods during the War, one side or the other would have the upper hand, either through technological advance like during the so-called Fokker scourge, when in 1915 the Central Powers invented a mechanism that synchronised the firing of the MG and the propeller. The pilots flying the Fokker aircraft equipped with this new bit of kit soon reaped a deadly harvest and the first Aces of the War were born. Or it was just a case of one side managing to bring faster and more manoeuvrable aircraft out before the other. So, until the other side caught up or even overtook them in this tech race, the side not in the ascendency would find their machines getting knocked out the sky at an alarming rate, obviously adding to the ever growing casualty lists. Over the Western front the British decided to always be on the offensive in the air, crossing over into enemy lines to take on the enemy. Since the War, many have questioned this, as it meant British casualties were a lot higher than the Germans'. The RFC policy of no parachutes (as it was deemed the pilot may jump when he could have got the plane home) also meant the RFC casualty rate was higher than need be. 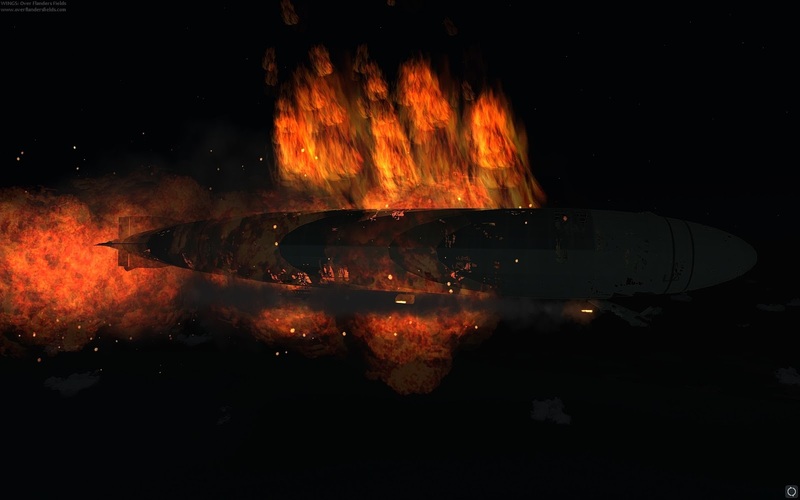 It condemned many pilots to a horrific death, being burnt alive as their plane fell out the sky, adding another barbaric and primitive aspect to the War. The Germans had taken on a defensive policy, waiting to swoop on the enemy as they crossed over into their air space. Flying in their brightly coloured planes, the Germans flew in large numbers called Jastas. 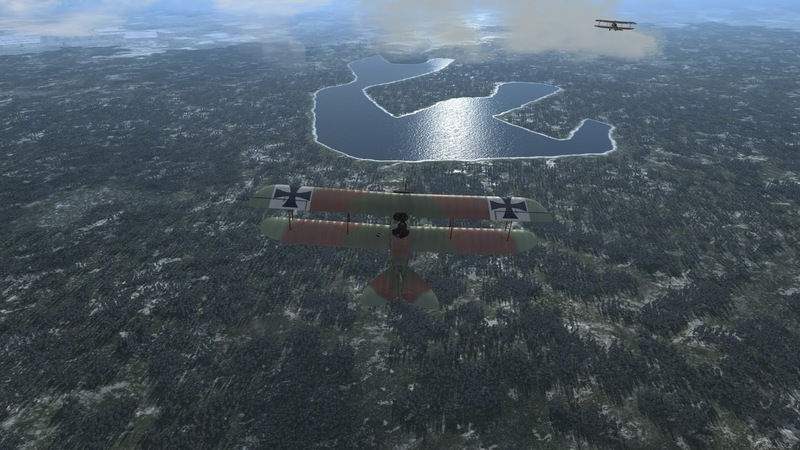 If you were an Entente pilot during '17 up until April '18 and you spotted a bright red plane leading the enemy Jasta [signalling the presence of the Red Baron, Manfred Von Richthofen], fear would overwhelm you, praying you wont become the next victim of who would be the Wars overall leading ace. The Germans did carry out bombing campaigns through out the War, using aircraft like the huge Gotha bombers or Zeppelins, even regularly bombing the UK. By the War's end both sides had some very good, reliable, fast and deadly planes. 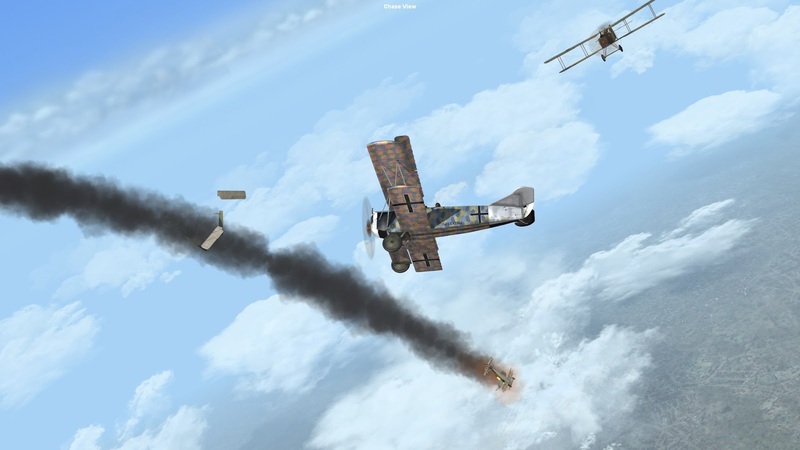 The Germans with the Fokker DVIIF and the Allies the SE5a or Airco DH5. For a good part of the War though, you were more likely to die in training, from either an error you made or from mechanical failure or a combination of both, than you were in actual combat. I expect your wondering why you've just read the above, when this is supposed to be a review for WOFF UE? Well it's because pretty much everything I mentioned above you'll experience in WOFF UE. From the first planes of the War scrapping it out in the Skies of '15 until the end of the War; it's all here. Choose to enlist for either the British (87 squadrons), German (205 squadrons), French (139 squadrons) or American (23 squadrons). Fly in a Recon or Bomber squadron, each flight praying you aren't about to be prey whilst doggedly sticking to your task. Or join a fighter squadron, to take the enemy on in a duel in the sky. Over 80, yes that's right 80 aircraft you can take to the skies in. The AI is also another excellent feat the OBD team have managed to pull off. With each iteration it has got better and better, until we have what is easily the best flight sim AI out there. No fight to the death AI here, each pilot has his own skill level, plus moral and fatigue are monitored, which all effects how he flies and can result in him breaking for home when risk outweighs reward. The AI also sticks within the limits of his plane's flight model, and, talking about the flight models, each plane has been researched and tested and I haven't seen any complaints about any of WOFF UE's many flight models in the forums. This has to be a very good sign. 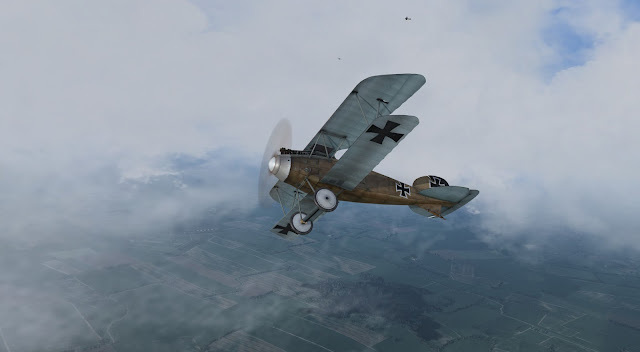 WOFF UE, in my opinion, is by far the greatest single-player, combat flight sim that has been released on the PC, finally taking over that top spot for WWI flight sims from The Red Baron, and personally, it takes the top spot for any combat flight sim covering any era. Nothing can come close to the dramatic scenes this sim produces, as you fly across the tortured landscape of No Man's Land. It manages to convey the immensity of the sky, and creates clouds like no other sim. I can't find the words to explain it, but I honestly haven't played a flight sim that manages to make you and your plane feel so small and fragile, so insignificant, as you fly among such huge, dark, foreboding clouds. The atmosphere the sim creates is second to none. I've ready many pilot memoirs and when they wax lyrical about flying and the sorts of vista they see up in the heavens when playing WOFF UE you can understand what they mean. Each season has its own high definition terrain set. No Man's Land will move in-line with how it did historically. Now, with the free skin pack, all Squadrons and Jastas have historically accurate paint jobs, as well as the planes of every Ace on all sides having their own, unique, historically accurate paint work. We are talking thousands of skins here. This is another visual treat WOFF UE has to offer. It also enhances the sort of realism OBD is trying to achieve, with great success in my opinion. Another massive improvement that WOFF has recently acquired is that the high definition planes' skins will now show bullet hole damage etc. which they didn't do. Previously, you had a choice between hi def skins or bullet holes, now you can have both. As I'm talking about damage, the damage model and the visual effects have yet again been improved for the many aircraft, creating more varied looking and realistic plane damage. For the first time now pilots and observers will slump in their seats if killed. I always breathe a sigh of relief, if I shoot a plane down in flames and notice the pilot is already dead. That's the kind of effect the game has on you, drawing you in to the point of worrying about an AI pilot's death! Previously, before the "slump", you never knew if the pilot was dead or not as he and his plane fell to earth like some sort of grisly comet. Weather is also modelled. So, as you take off, you could be flying through a snow storm, yet once above the cloud layer, bingo you're bathed in sunshine, with blue sky all around. So as you can tell by now visually it's one hell of a treat. Day and night is modelled is also modelled. Fly as a pilot in a Gotha desperately trying to stay out of the search lights, as they sweep the night sky above London. Or, as the sun has just gone down towards the end of your patrol, you come into land at your airfield in France being guided by the flames lit along either side of the run way. anything at all in common. It really is something you only have to consider when installing, or, if you don't own it, when tracking it down. Now onto the dynamic campaign. For a single player sim, this is the meat on the bones. This means WOFF UE has the body of a Greek God! 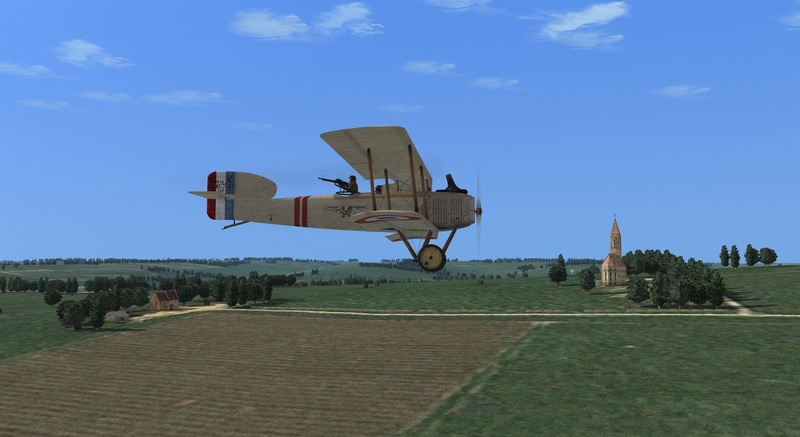 So much work has gone into creating an experience that draws you in, and soon you find yourself fully immersed as a pilot during WWI flying high above the Western front. You can, if you want to, choose exactly which squadron and what date you enlist and start your campaign. Or you can choose a date, and start in training, learning how to fly well behind the lines. Once you successfully complete your training then you could be assigned anywhere in any type of plane! Just like it was for those trainee pilots, but without the high possibility of death before your training was completed, saying that your in-game pilot can still die at this point, if you have a terrible crash. OBD have done a tremendous amount of research on each squadron, including its aces and at which airfield they were at through out the war. As you can imagine, with the number of squadrons I mentioned earlier, how much work that must have entailed! The squadrons are also rated as either on defence or offence aswell as how good it is, which can change during the War depending on the squadrons circumstances at that particular time. Also, the morale of the squadron as a whole is considered. You can if you wish request a transfer, as well as request leave. Historically accurate Medals are awarded both to yourself and to your squadron members. Also, just like the War, you have to fill in a claim form when you think you've shot down one of the enemy. On the harder difficulty levels this can be denied, just like it was for the pilots back then. As for options regarding both difficulty and visually the game has plenty to choose from, so you can customise the experience to suit both how you want to play and what sort of rig you have. So the dynamic campaign is fantastic and surpasses all previous WWI flight sims. Play dead is dead difficulty and see how many hours you can do over the Western Front! One final thing I want to mention about the game is that you can check on what aces are around at the particular time of the current campaign. You'll find that many even have their biography written, and when you see how many have a written biography it dawns on you just how much work has gone into this Sim. Along side any biography you'll find the Aces kills upto the particular date of your campaign, and as you continue forward the kills will be updated keeping inline with the pilots historical tally. 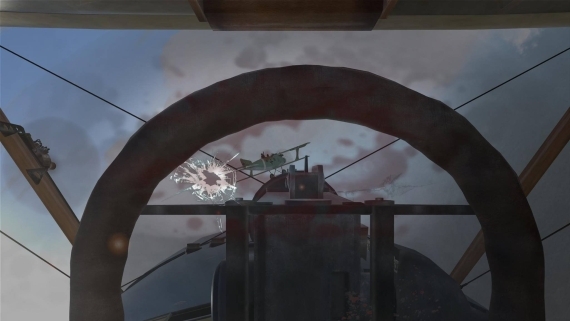 The kill can even state who the unfortunate pilot and in a two seater observer were! The amount of research here, at your finger tips , could easily be published as a book in its own right. My hat goes of to you OBD. Stunning work! Oh little tip when you get the game. Click "Credits". A little treat is waiting for you there. Go check out the excellent WOFF forum at Sim HQ. Also like to thank the forum members if I've used one of their screenshots. Plus all the updates, in an easy to install package. Nearly forgot to mention a major highlight!! Last but not least is Matt Milne's outstanding musical score! What would WOFF be without it? Missing one of its vital elements for sure. The music could easily sell in the classical music section of a music store. In fact, I'm pretty certain it could get into the classical charts. Honestly, it's absolutely first class and adds so much to the atmosphere. So you can see, from its music to its campaigns and on to its visuals WOFF UE won't let you down. 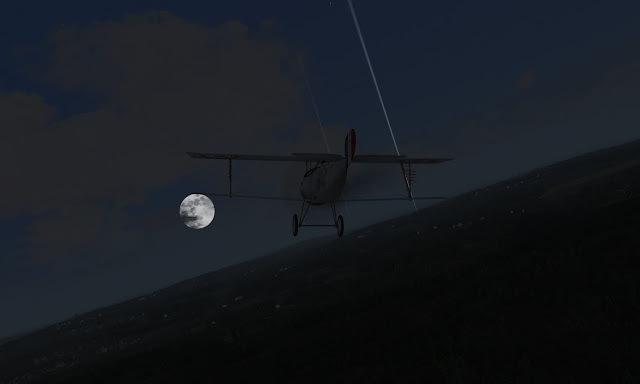 It's my favourite ever flight sim and all flight simmers should own it! Fantastic review Jason,a great sim from OBD that deserves every credit they get. 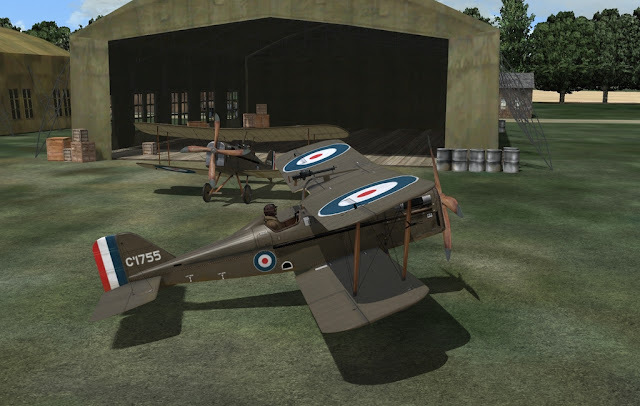 Fantastic support and the choice of flyable aircraft and career modes from 1915-1918 is incredible..just to add there,es also the option of the Free 2GB "Skin Pack" download from the buy now page,offering 4500 skins. WOFF is absolutely my top flight sim of all time,it oozes class its a phenomenal piece of work. A brilliant dynamic campaign with battles raging below. I for one im looking forward to what OBD do next.